Every book in my reading challenge so far has been a fiction book. This week is non-fiction week. Week 13 of my 52 book reading challenge (1 book per week for a year) is A Memoir / autobiography. 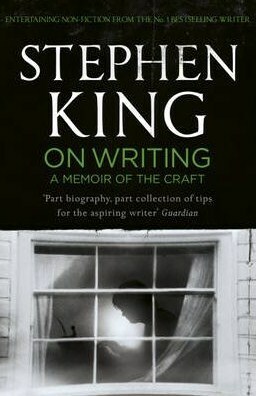 As a writer myself I am reading the memoir of a writer, the extremely successful and popular Stephen King. Part memoir, part master class by one of the bestselling authors of all time, this superb volume is a revealing and practical view of the writer's craft, comprising the basic tools of the trade every writer must have. King's advice is grounded in his vivid memories from childhood through his emergence as a writer, from his struggling early career to his widely reported, near-fatal accident in 1999 - and how the inextricable link between writing and living spurred his recovery. As well as this I am also reading a fiction book this week. This is not part of my reading challenge below, although this would fit in many weeks as it's a book made into a movie and a book by one of my favourite authors. Just in time for the movie release I am reading The Longest Ride by Nicholas Sparks. Ninety-one-year-old Ira Levinson is in trouble. Struggling to stay conscious after a car crash, an image of his adored - and long-dead - wife Ruth appears. Urging him to hang on, she lovingly recounts the joys and sorrows of their life together: how they met, the dark days of WWII and its unrelenting effect on their families. A few miles away, college student Sophia Danko's life is about to change when she meets the young, rugged Luke and is thrown into a world far removed from her privileged school life. Sophia sees a tantalising future for herself, but Luke is keeping a secret that could destroy it all. Ira and Ruth. Sophia and Luke. Two couples, separated by years and experience, whose lives are about to converge in the most unexpected - and shocking - of ways. 2. A book set on or by the sea/ocean. I READ The Moon and More by Sarah Dessen. 3. A book with a red cover. I READ Waking the Witch by Kelley Armstrong . 5. A book with 'Love' in the title. I READ A Very Accidental Love Story by Claudia Carroll. 6. A book that has been made into a movie or tv show. I READ Insurgent by Veronica Roth AND Paper Towns by John Green. 7. A book recommended by a friend. I READ Looking for Alaska by John Green. 8. A book set in a place you want to visit. I READ The Apartment in Rome by Penny Feeny AND The Travelling Tea Shop by Belinda Jones. 9. A classic. I READ Far From The Madding Crowd by Thomas Hardy. 10. A book set in a city. I READ A Week In December by Sebastian Faulks. 11. A book with an orange cover. I READ Fahrenheit 451 by Ray Bradbury. 12. A book with 'Spring' in the title. I READ Promises of Spring by Jenny Lane. 13. A memoir / autobiography or similar. I'M READING On Writing by Stephen King. 14. A book written by a UK author. 15. A collection of short stories. 16. A book with food in the title. 17. A book set in your favourite place. 18. A book your mum loves. 19. A book with a yellow cover. 21. A book with 'Summer' in the title. 22. A book with a music industry theme/musician character. 23. A book that was originally written in a different language. 24. A book everyone has read but you. 25. A book where the main character has your dream job. 27. A book set in France. 28. A book with a film industry theme/character. 29. A book set in your hometown. 30. A book by one of your favourite authors. 31. A book set in Italy. 32. A book with a blue cover. 33. A book set in London. 34. A book about a road trip/journey. 35. A book with a one-word title. 36. A book set in the countryside. 37. A book with 'Autumn' in the title. 38. A book with a purple cover. 39. A book set in New York. 40. A book with a number in the title. 41. A book with an animal on the cover. 43. A book that was published the year you were born. 44. A book set in Los Angeles. 45. A book with a black and white cover. 46. A book with 'Chocolate' in the title. 47. A book published this year. 48. A book set at Christmas time. 49. A book by an author with the same first name as you. 50. A book with snow on the cover. 51. A book you learned about because of this challenge. 52. 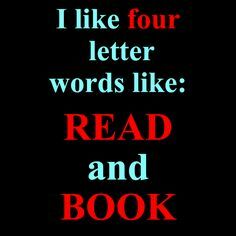 Reread your favourite book. What are you reading for week 13? A memoir / autobiography .